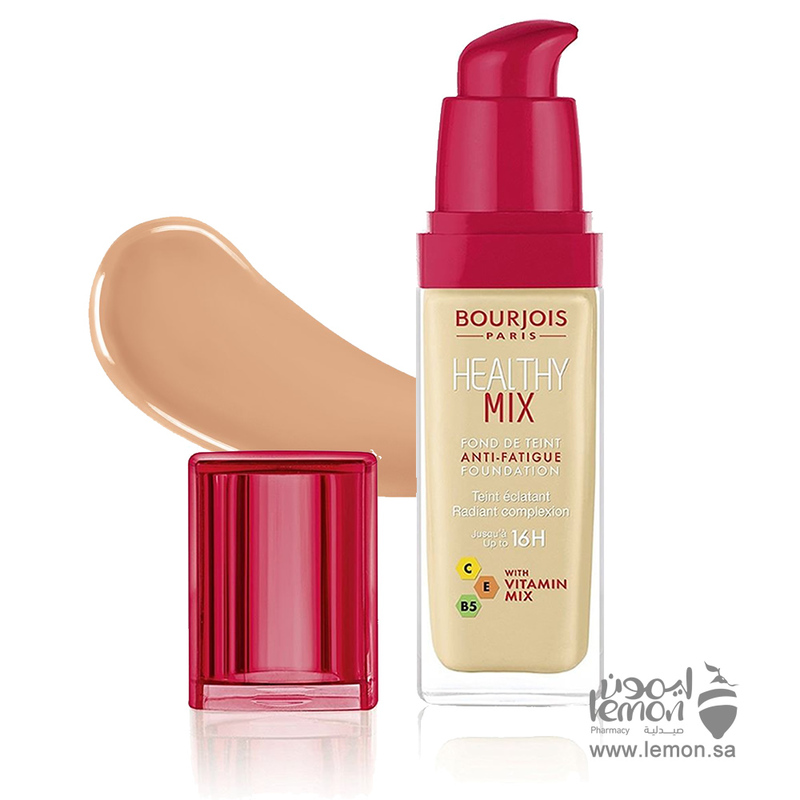 Bourjois Healthy Mix Anti Fatigue Foundation 55 Dark beige 30 ml Give your skin a radiance boost with Bourjois healthy mix serum gel foundation – made from a vitamin rich fruit therapy formula for an even complexion and an instant ant fatigue result. 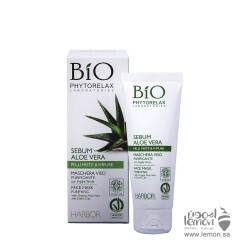 Its fresh and instant blending gel texture blends and glides onto the skin for an even, natural finish with no mask effect. 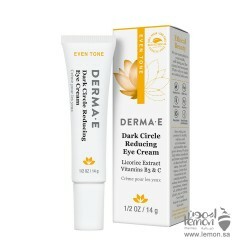 Imperfections are erased, signs of fatigue are smoothed and the skin’s radiance is boosted for up to 16 hours. 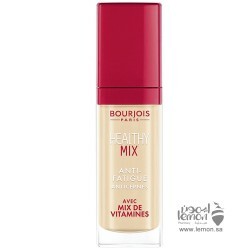 Made from an instant ant fatigue vitamin rich fruit therapy formula with litchi, goji berries and pomegranates.